Georgia Southwestern State University is also featured in our ranking Top 25 Most Affordable Online Bachelor’s in Accounting. Once known as the Third District Agricultural and Mechanical School, Georgia Southwestern State University is a public university in Georgia that is part of the state’s university system. The school has more than 3,000 students enrolled in its bachelor’s degree, master’s degree, and specialist degree programs. The school’s official colors are navy blue and gold, and the sports teams at the school are nicknamed the Hurricanes. The university was once a two-year college but gradually grew in size and scope until it was granted full university status. Today, the university offers its programs within five different schools that include the College of Arts and Sciences, School of Business Administration, and the School of Education. Offered within the university’s School of Business Administration, the accounting program at Georgia Southwestern State University is a Bachelor of Business Administration (BBA) with a concentration in Accounting. Other concentrations available to students include Human Resource Management, Marketing, and Management. The school’s business programs are accredited by the International Association to Advance Collegiate Schools of Business (AASCB). The BBA degree is also available through online study via the university’s BBA eMajor program. Prospective students who have never attended college may wish to consider the on-campus option. Working professionals are encouraged to investigate the online degree program. The university shares that an accounting degree is an excellent way to find work in a number of different careers, from general accounting work to employment in legal studies, the law, and banking. The BBA in accounting program at Georgia Southwestern State University is appropriate for students who wish to enter the workforce in an entry-level accounting position, as well as those who want to move on into graduate work and a Master of Accountancy or similar program. In the program, a student will learn how to prepare financial statements, record business transactions, analyze business performance, and figure out whether a company is efficient and if changes to the business model are needed. In addition, students will also learn how to participate in strategic planning, plan a tax strategy, and manage health care benefits from the standpoint of accounting and money. Some of the types of employment available to graduates include jobs as accountants, bookkeepers, budget analysts, forensic accountants, payroll clerks, tax accountants, and government accountants. Students may also work toward becoming Certified Public Accountants (CPAs) or Certified Internal Auditors (CIAs). Classes a student may take in the BBA in Accounting program include Not-for-Profit Accounting, Advanced Income Tax, Advanced Cost Accounting, and Contemporary Issues in Accounting. Business courses required in the program include Quantitative Management, Business Finance, and Principles of Marketing. For working professionals, as well as parents, members of the military, and older students returning to college, the online BBA eMajor program may prove the wisest choice as it’s available completely online. The university offers what they call a Prior Learning Assessment, which helps the university determine if the student’s past classes or work experience is sufficient to reduce the overall number of credits required in the program. Students who have already earned an Associate Degree in Business from any accredited university within the state’s system may also enter the eMajor program at Georgia Southwestern State University with ease. 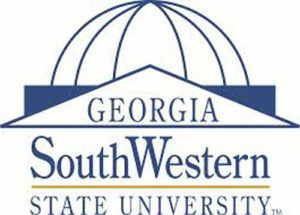 The Commission on Colleges of the Southern Association of Colleges and Schools has given its accreditation to Georgia Southwestern State University, and the school is also accredited by other organizations for certain programs. The Council for Accreditation of Teacher Preparation has accredited the School of Education, and the Commission on Collegiate Nursing Education (CCN) has accredited the Bachelor of Science in Nursing degree program. The Association to Advance Collegiate Schools of Business (AACSB) has accredited the School of Business Administration, which is an honor earned by only a select number of business schools around the world. The school’s distance education programs are also authorized by the National Council for State Authorization Reciprocity Agreements. The university requires a variety of documents during the application process. For beginning freshmen, students must submit documents that include a completed application, official high school transcripts, SAT or ACT scores, and proof of immunization. The application fee is $25. Students who are enrolling as transfer students will also need to provide transcripts from a previous college attended. Non-traditional freshman will need to submit GED test scores, as well as an official copy of a GED certificate. For international students, the application must also include an affidavit of financial support by a sponsor and official TOEFL scores. Students should make sure all application requirements are met before sending a check with the application materials to the school. Georgia Southwestern State University is a public state school and charges different tuition for in-state students versus out-of-state students. For residents of Georgia, as well as Alabama, South Carolina, Florida, and Tennessee, the charge for tuition is $2,478. Students will also pay additional fees like a Health Service Fee, Technology Fee, Activity Fee, and a Success Center Fee. Students who live in other states will pay $9,016 for undergraduate tuition, as well as similar fees like a Parking Fee, Technology Fee, and Institutional Fee. The tuition for online degrees is $199 per credit hour for undergraduate classes and $257 per credit hour for graduate classes. The tuition for online degrees at Georgia Southwestern State is the same whether a student is from Georgia or another state. After students are admitted to the university as degree-seeking students and submit a FAFSA form, they will become eligible for financial aid at the university. Some of the financial aid options at the school include scholarships, grants, loans, and work-study through the federal government’s student loan program. Students are often eligible for assistance through private sources, too. For example, students with a financial need may qualify for Federal Pell Grant awards, which can help a student with up to $5,550 in assistance for the academic year. Students may also be eligible for Federal Supplemental Educational Opportunity Grants (SEOG) if they are enrolled at least half-time in classes and have a financial need. Students enrolling in an accounting degree program at Georgia Southwestern State University may also gain eligibility for unsubsidized, subsidized, and PLUS loans via an official award package.